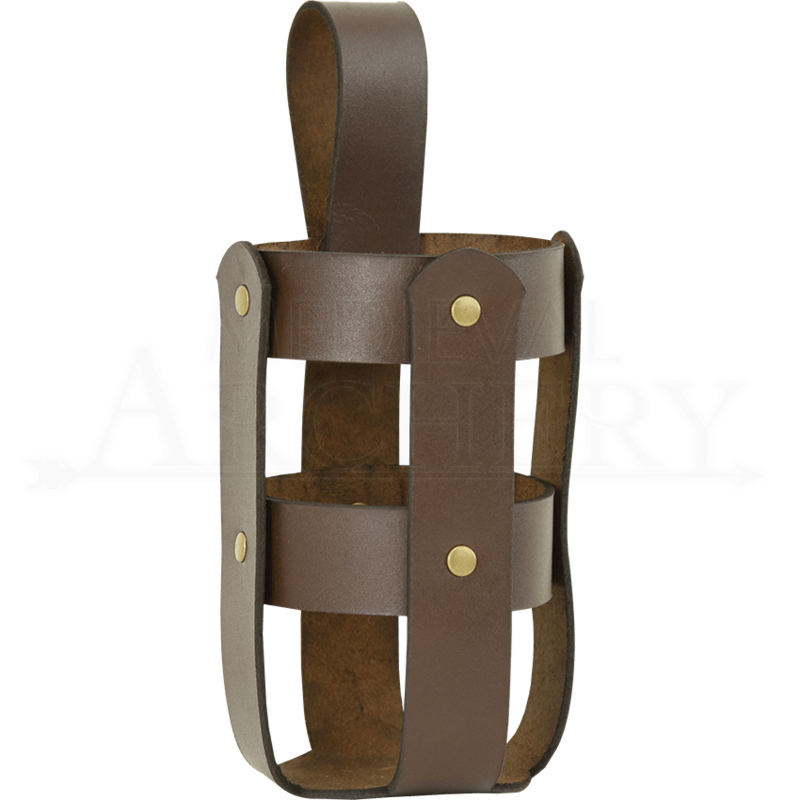 Whether you are toting around a magic potion or simply your favorite drink, the Leather Bottle Holder is a fantastic accessory to have at your side. This medieval bottle holder is handmade from soft, yet sturdy leather strips riveted together. The basket of this bottle holder fits most cans and bottles, and it can be worn on belts up to 2 inches wide through the top loop. 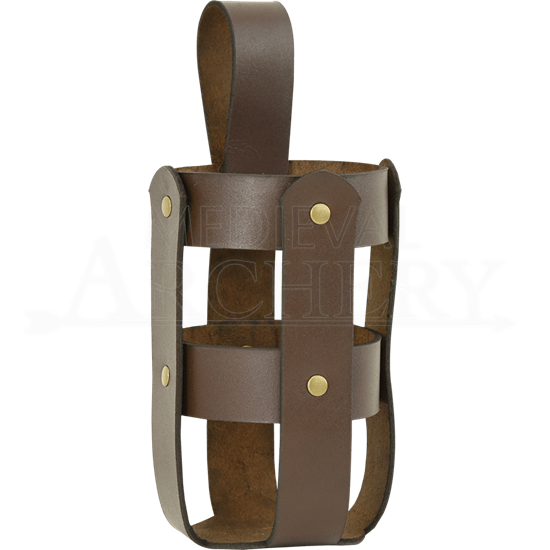 This medieval drink holder comes in black and brown leather, and its hardware is available in a variety of color options to suit any reenactment, LARP, Renaissance fair, or fantasy look. Please note that the bottle is not included, but it can be purchased separately.